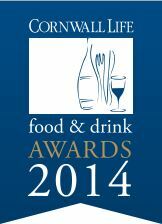 The Cornwall Life Food and Drink Awards are now open to nominations and we’d love for you to help us be a part of it. Recognised as one of the top foodie events in Cornwall, the Cornwall Life Awards celebrate the very best of food and drink that Cornwall has to offer. We pride ourselves on sourcing and serving 100% of the very best Cornish produce right down to our mayonnaise and we would really appreciate it if you could take a few minutes to nominate Picnic Cornwall as ‘Best Tearoom/Coffee Shop of the Year’ and ‘Best Independent Food Shop of the Year‘ in these awards. Click here to vote online today, thank you SO much for your support. Don’t forget to vote for your favourite Cornish food, roast, hotel and the other great categories whilst on the Cornwall Life website too!